A trip to Deosai Plains & Sheosar Lake from Shigar Fort in Skardu. On the way we also stopped at Manthal Buddha Rock & Satpara Lake. 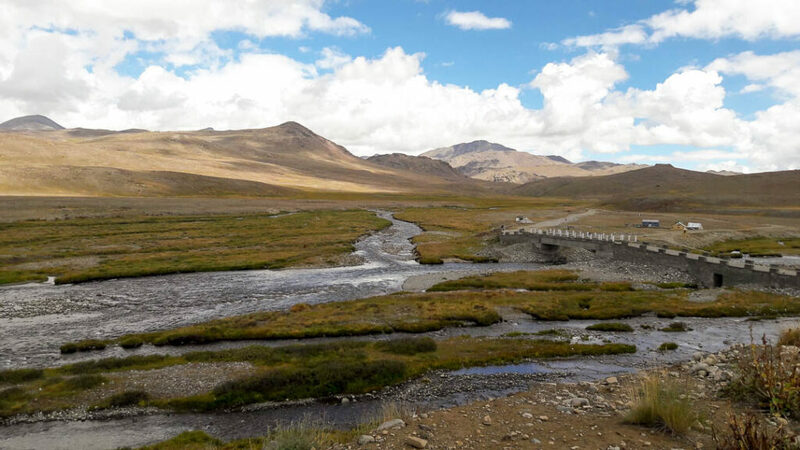 When we mentioned going to Skardu, everyone and I literally mean everyone told us to go to Deosai – it may not be the best time and it will take you the entire day but you just HAVE to go! So of course we were both ready to go, especially after our not so exciting Shangrila experience. 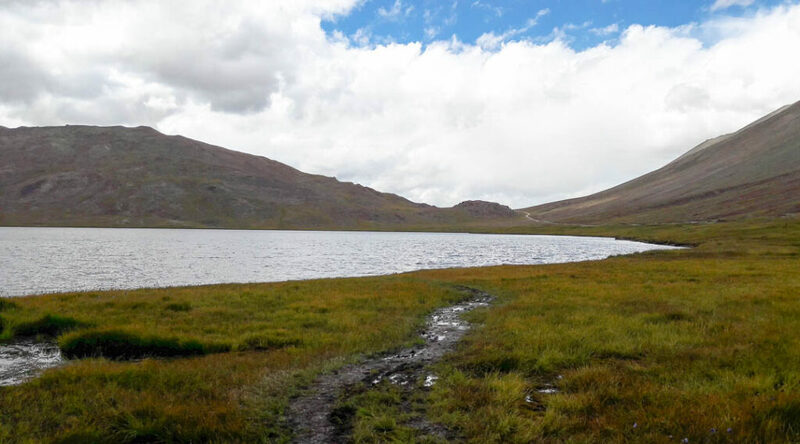 The Deosai National Park is located between Astore and Skardu, Pakistan and at 13,497 ft from sea level it is the second highest plateau in the world. 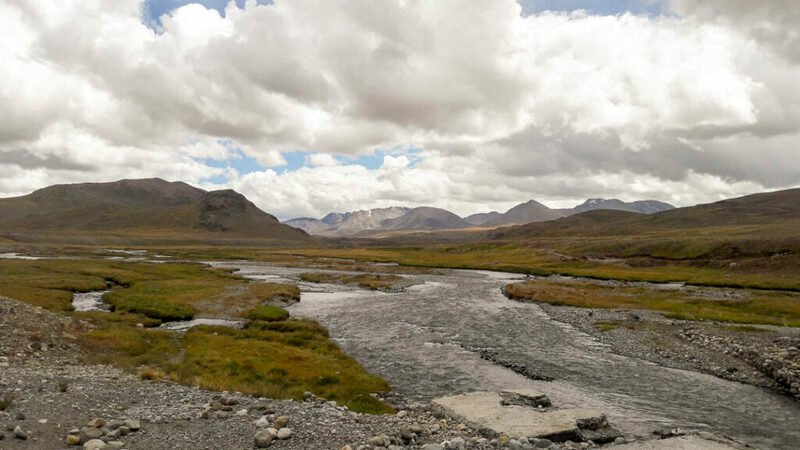 There are three ways to reach Deosai – the shortest is through Skardu, the second is from Astore valley via Chilim and then through Shila valley. 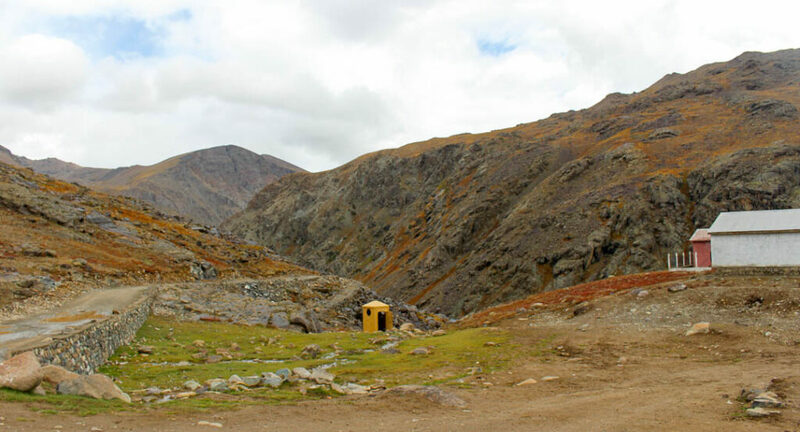 Travelling the entire length of Deosai requires one to stay the night so a camping trip is essential. However, our plan was to only reach Sheosar Lake and turn back. Deosai is the combination of two words ‘Deo’ (giant) and ‘Sai’ (shadow). It is believed that this place is haunted by giants, thus the name ‘The Land of the Giants’ came into being. We got up at 7:30 am – thankfully breakfast starts at 6:30 am at Shigar Fort so we were able to eat & fuel up properly. We also collected our lunch box from the Serena dining room – there are no proper hotels / restaurants at Deosai and it’s best to carry a lunch box. 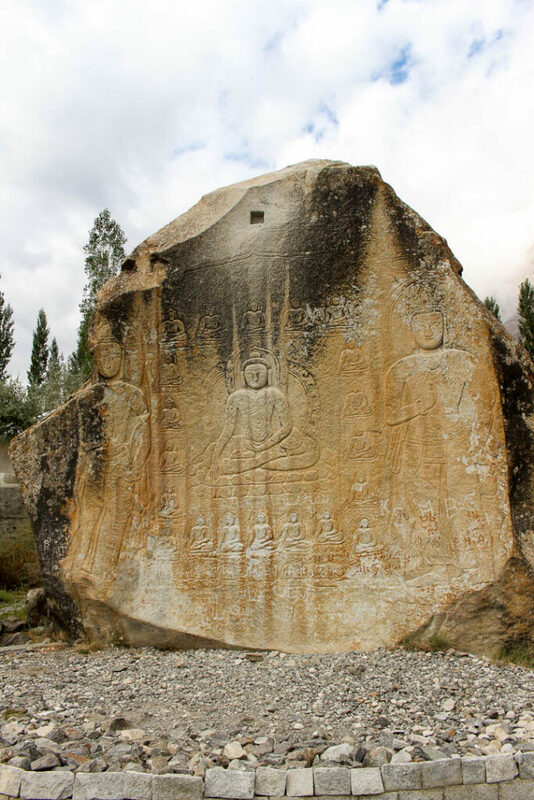 Our first stop was at Manthal Buddha – a granite rock on which a carving of Buddha is made which probably dates to the 8th century. For some reason it was closed but we did manage to take pictures from outside. Our driver (who used to turn into a tour guide at times) told us if one throws a stone at the statue and it lands in that tiny square in the center, that person’s wish gets granted. Interesting story there. Our second stop was Satpara Lake, a natural lake that supplies water to the Skardu valley. 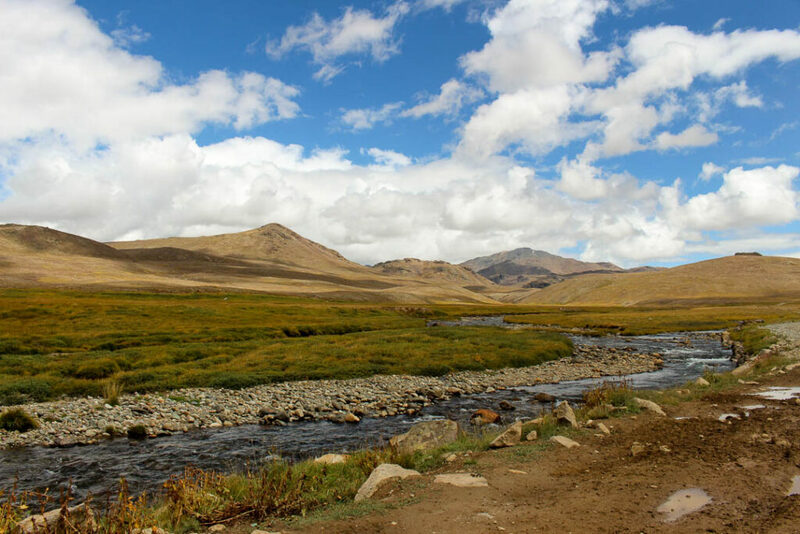 It is fed by the Satpara stream which comes from the Deosai plains and if you go straight on the same road, you will reach Deosai itself. The crystal clear water & the mountains in the background had us mesmerized – it’s a place you can sit for hours while enjoying the view. The lake offers opportunities for trout fishing, boating & rowing. According to our driver (who used to turn into our tour guide at times) there used to be a hotel which got flooded when the tides rose and now we can only see the hotel sign in the water. There is also a PTDC hotel in an island in the middle of the lake. Unfortunately, it is not open yet because they didn’t make a proper sanitation system – the plumbing water can’t really go in the lake, can it? From Satpara lake we drove up the same route to reach Deosai National Park. 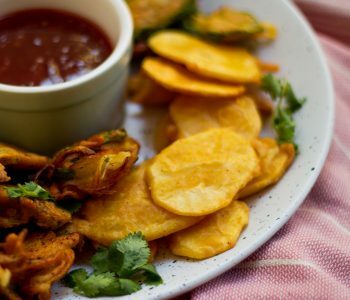 There is an entree fee (Rs.40 for locals & Rs.500 for foreigners) along with a list of rules & regulations. We had been told that it would be really chilly so we had carried sweaters & shawls, mufflers & gloves. You start climbing up the road and in a few minutes you will be able to see the picturesque village of Satpara. Keep climbing up the twisting mountain road – admire the view but if you are scared of heights don’t look down. After about an hour or so we reached the top to our first stop post ‘Ali Malik’ – it had a chai hotel built half in the ground. We got out of the car and for a few moments just looked at the scenery – the plains itself seem to go on for miles (and considering it’s the 2nd largest plateau in the world they do). Just grass and flowers and mountains in the background not even a single tree. We had some chai, used the washroom (use it when its clean – you never know what you are going to find later) and moved on ahead. The first checkpoint at Deosai Plains. Yes, that’s a restroom in the middle. Our next stop was Kala Pani (aka black water – really don’t understand who came up with these names) where we got out to see the lake & stream. There are certain designated areas for fishing but one needs a license to do so. 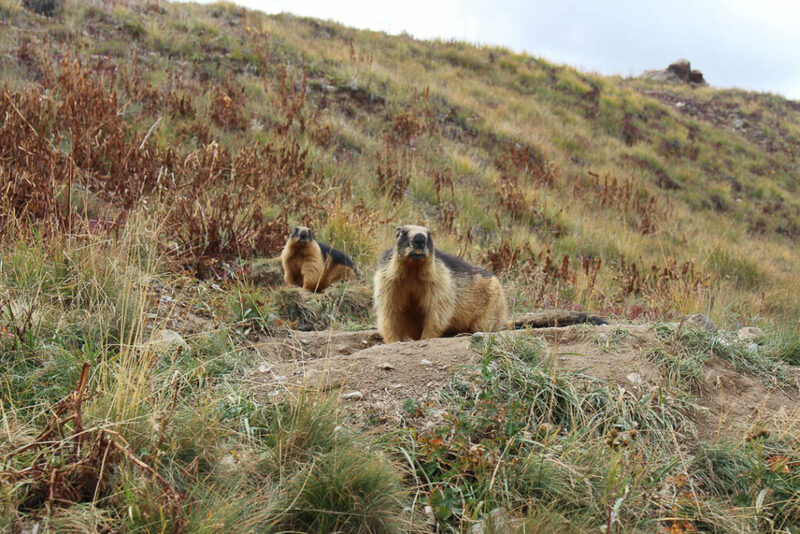 We also saw some golden marmots on the way – they resemble beavers and live in tunnels that they burrow themselves. The next checkpost on our ride was Bara Pani – this is the place where one can see brown bears if they are lucky. 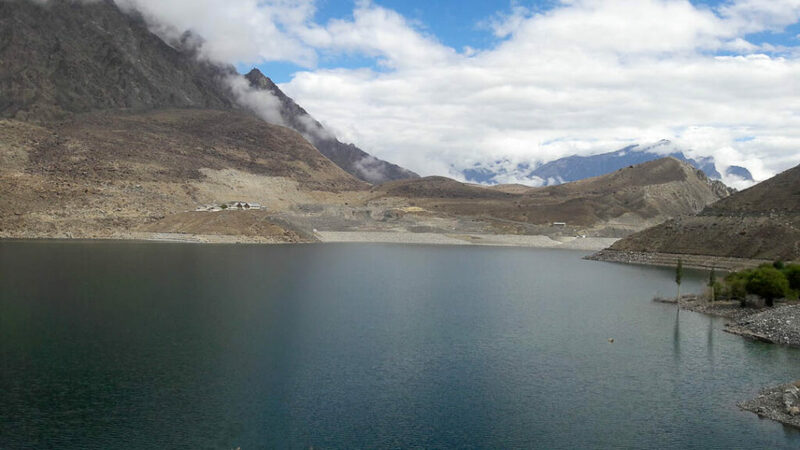 Finally around 1:30 pm we reached Sheosar Lake which in local language means ‘andhi / blind’. This is one of the highest lakes in the world with deep blue water surrounded by wild flowers & grass. If the weather is clear, one can see Nanga Parbat’s snow covered peak in the distance. Unfortunately, the weather wasn’t clear and by the time we were on our way back it had started drizzling. We got out for lunch and the moment we got out is when the cold hit us. From 18 degrees C at Shigar the weather was now 10 degrees C – a drop of 10 degrees! Yes. That cold. We bundled up and had our lunch – Serena had given us quite an assortment of items all packed in foil & perfect for travelling. There was chicken, kebab roll, sandwich, an egg, chocolate, biscuit, juice, water apple & an apple. During this time we only saw herds of cattle (mostly goats with shepherd dogs) being driven by nomads from Kashmir. We stayed here for about 30 minutes and then started on the journey back – it had started drizzling and I was more than a little bit worried about the visibility of the return journey. Eating lunch at Deosai Plains. 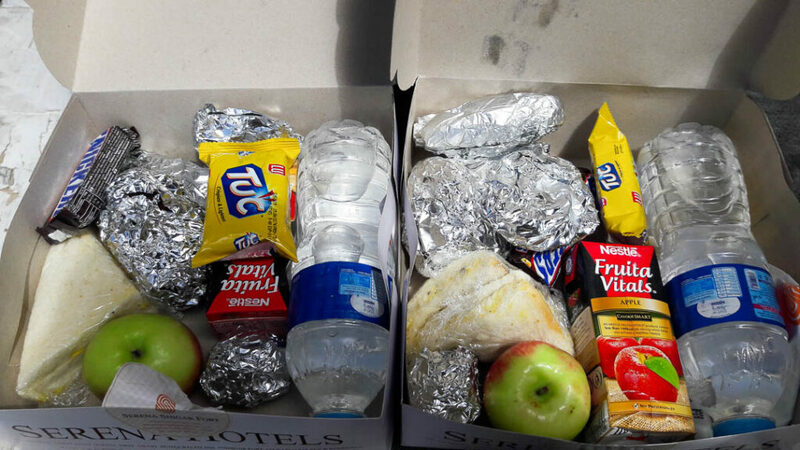 These were lunch boxes that we ordered from Serena Shigar Fort. It kept raining on the way back and during the entire road I just kept praying that nothing would happen. Though our driver was very careful the rain did cause the road to be treacherous. We finally made our way back to Skardu and surprisingly we reached Shigar by 5:30 – 6 pm. Tired, hungry, exhausted but mostly overwhelmed at all the beauty we saw during the day. Though this is like 10 minutes away from Shigar Fort we decided to cover this by car because well we had the car. 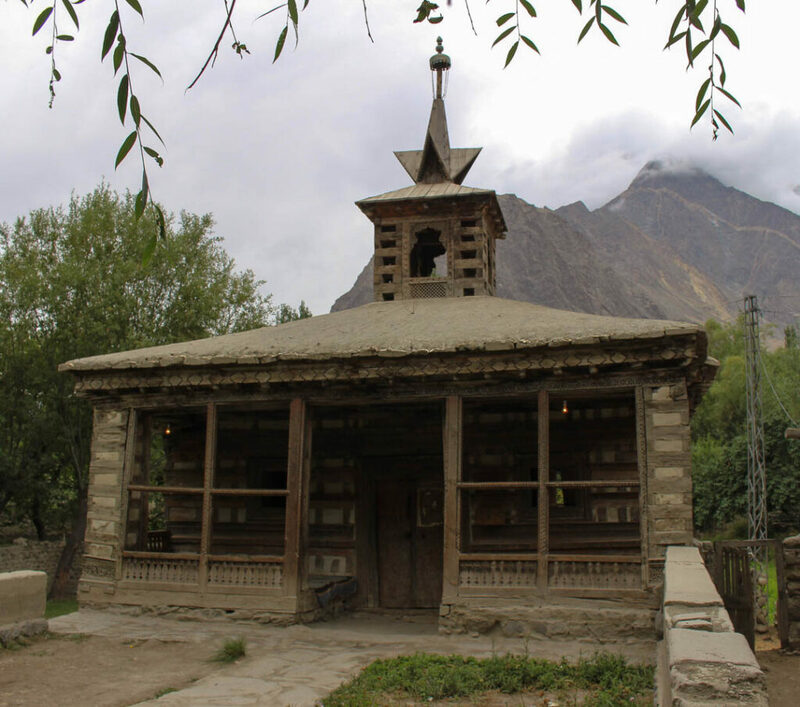 This is a 14th century mosque made by Irani craftsmen and is the first religious monument in the Shigar Valley. It is still used and one can go inside to look at the historical architecture. It was awarded the UNESCO award for heritage conservation. We took the car but one doesn’t need too and this can easily be covered as part of a mini-tour around the village. Final Review – Worth getting up at 6:30 am in the morning, travelling in a car for 6 hours and going to random washrooms during the trip. An experience I will never forget – this is actual raw untouched nature – nothing commercial about it. 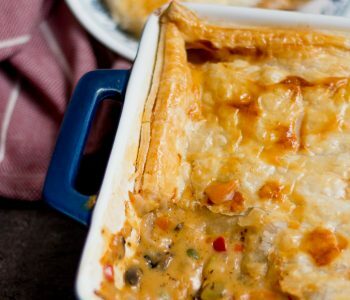 Make sure you take a lunch box, biscuits & water for the journey along with warm clothes. It starts off normal but gets really chilly later. Make sure you leave early in the morning so you are able to get back by sunset otherwise you can camp for a night and cover the entire plateau which should be another experience in itself. 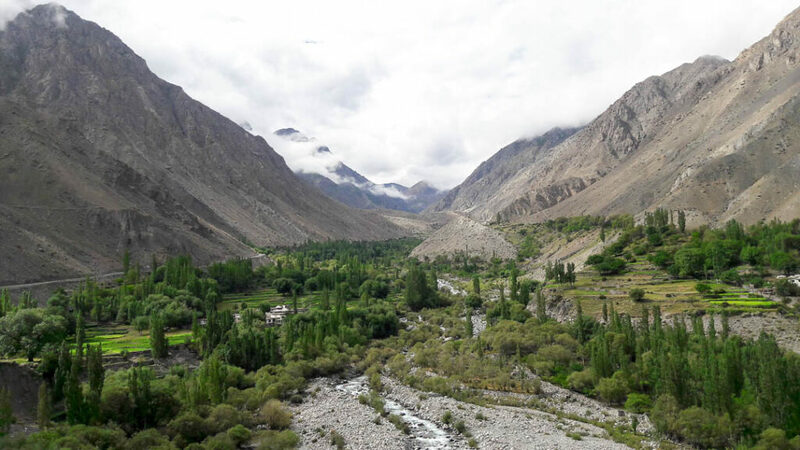 You can also read up on other adventures from the Skardu trip here – Serena Khaplu Palace & Shigar Fort. Our last dinner at Shigar Fort – sitting indoors as it was raining heavily outside. 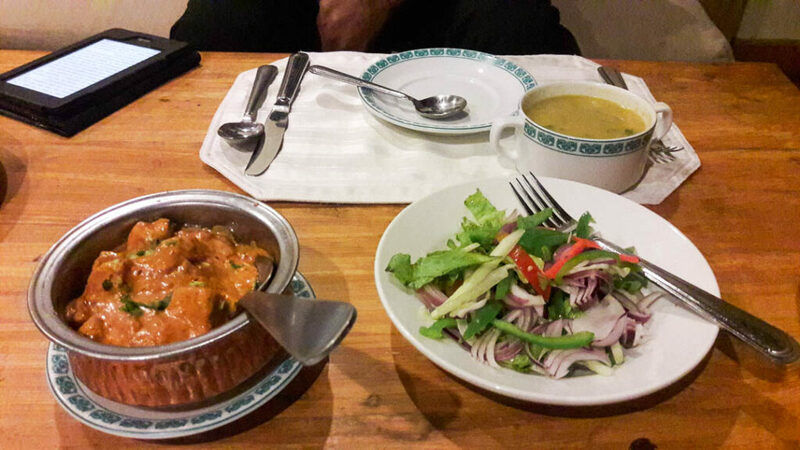 We had chicken handi with salad; their traditional bhale soup. Kindles for reading of course.